The American Public Transportation Association picked Metro for the honor based on 12 criteria, including safety, efficiency, maintenance and financial management. 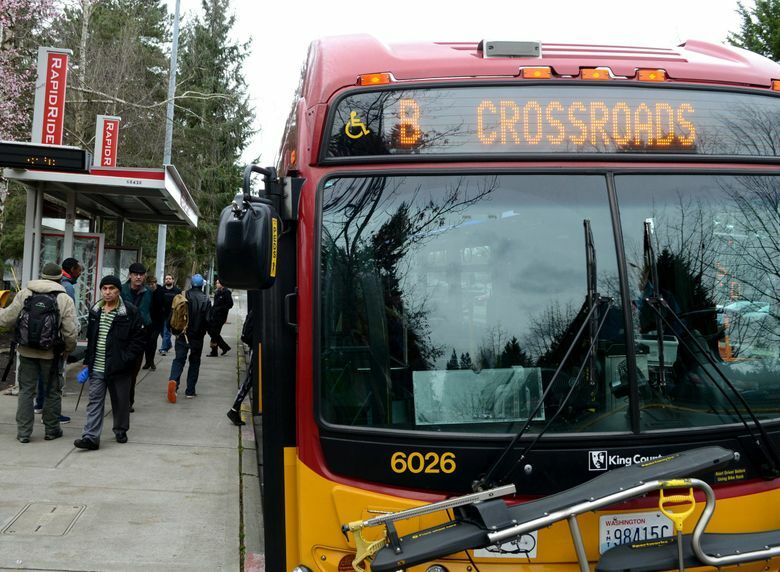 King County Metro was the top large public transportation agency in North America over the last year, according to the leading public transit trade organization. The American Public Transportation Association (APTA) picked Metro for the honor based on 12 criteria, including safety, efficiency, maintenance and financial management. APTA cited Metro’s three straight years of record ridership, the ORCA Lift program, which provides discounted fares to low income riders, and ORCA Passport, in which area businesses pay for free or reduced-price ORCA cards for their employees. ORCA Lift “has become a national model in providing equitable access to public transportation,” APTA wrote. People boarded Metro buses about 400,000 times every weekday in 2017, a figure that has increased every year since at least 2011. Seattle has been virtually the only city in the country to see continual growth in transit ridership over the last several years. The Seattle region is spending more per capita to build new rail lines and expand bus service than any other city in the country. At the same time, area voters have supplied the agency with more tax money, so much so that Metro has been unable to hire enough drivers to spend that money and keep up with rising demand. And despite at least twice-annual service increases, the most popular routes continue to struggle with packed buses and late arrivals. Metro was chosen from among about 50 transit agencies that each provided more than 20 million passenger trips per year (Metro provided about 122 million bus trips in 2017). “This award goes to each one of the 4,700 employees at King County Metro, in honor of the hard work and amazing customer service they provide every day,” said Metro General Manager Rob Gannon.